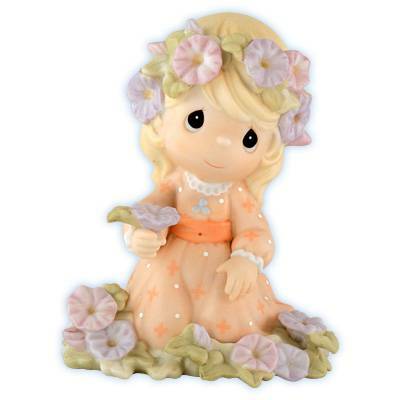 This figurine depicts a girl kneeling and she has a beautiful floral wreath on top of her head. This piece is symbolic of the glory of His love and is a touching gift of faith. This figurine stands approx. 4.0 inches tall. Retired in 2005.